We accept deposits before pregnancy is confirmed, so if for any reason puppies are spoken for, don’t hesitate to contact us. No need to look elsewhere. We can always add you to the waiting list of our upcoming breeding. 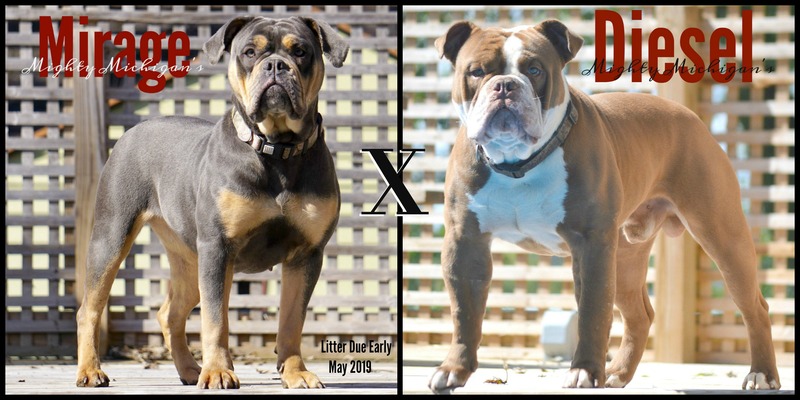 New Breeding Announcement for 2019 is Here!!! We are proud to announce a confirmed pregnancy between Leonidas and Panda. We couldn’t be more excited! Panda who is a black seal is a litter mate to our blue tri, Miss Bo. Puppies will arrive April 25, 2019. 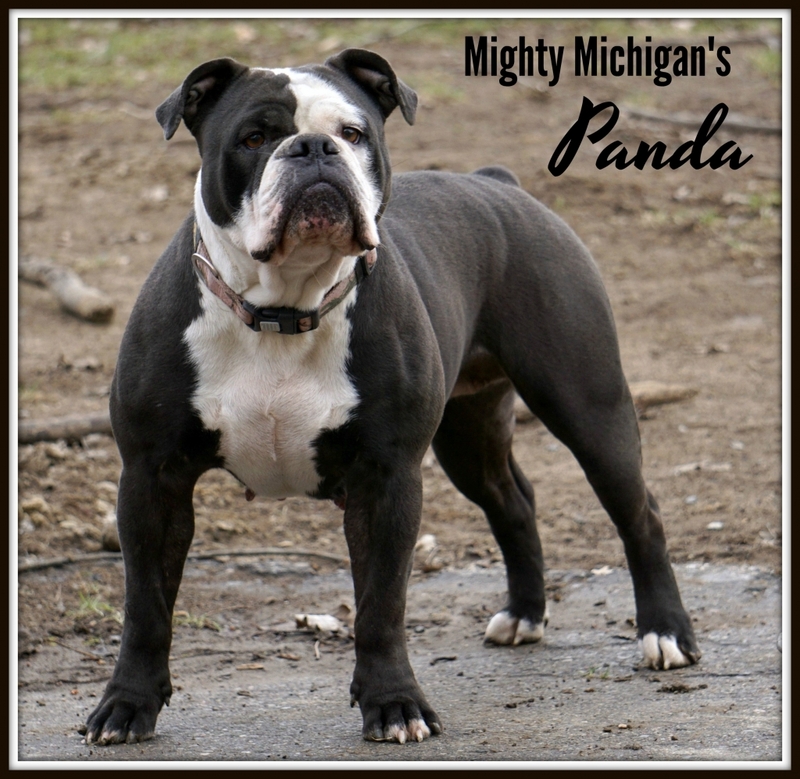 We are very excited to announce our current breeding between our proudly produced Leonidas and Panda, which will signify a third generation breeding for us. 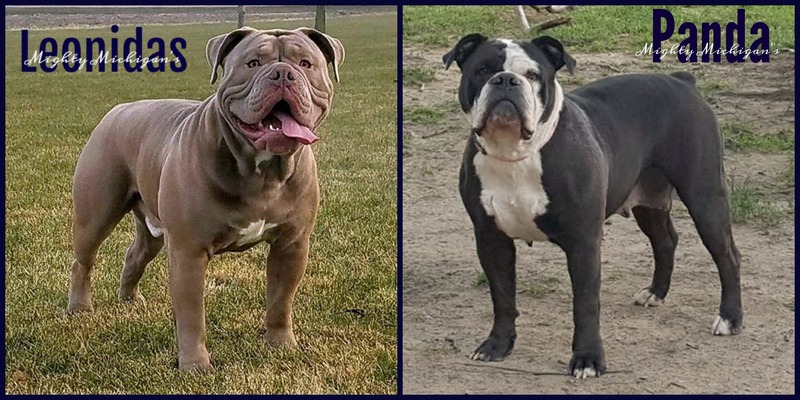 Both parents are structurally sound with phenomenal pedigrees, including our own Diesel, Spartacus (retired), Maddie (retired), and Lexi (retired). Leonidas and Panda have the sweetest temperaments that will make for wonderful, family pets. Anyone who meets either would love to take them home. We expect these puppies to be very consistent. Additionally, they will be thick, as well as, loyal companions with a willingness to please. This litter will be a rainbow: black, lilac, blue, and chocolate. We can’t wait to see the outcome!!! 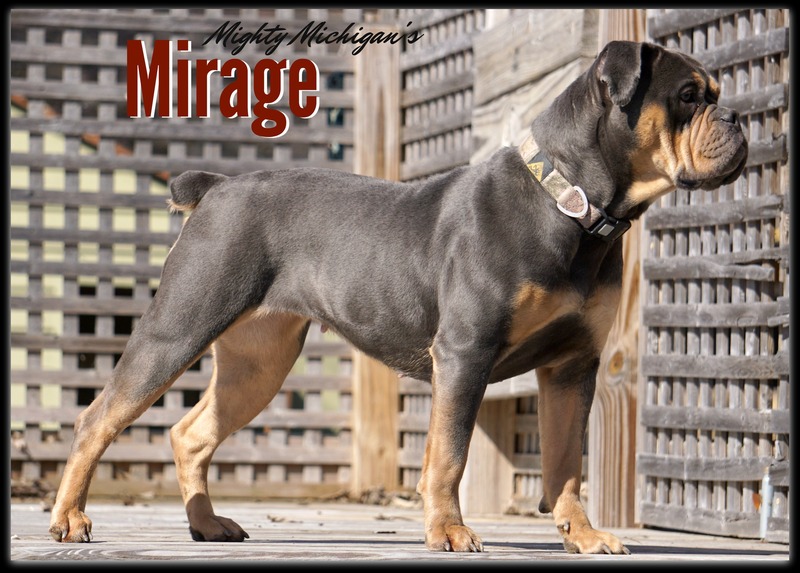 We are very excited to announce our current breeding between our proudly produced Mighty Michigan’s Mirage x Mighty Michigan’s Diesel, which will signify a third generation breeding for us. 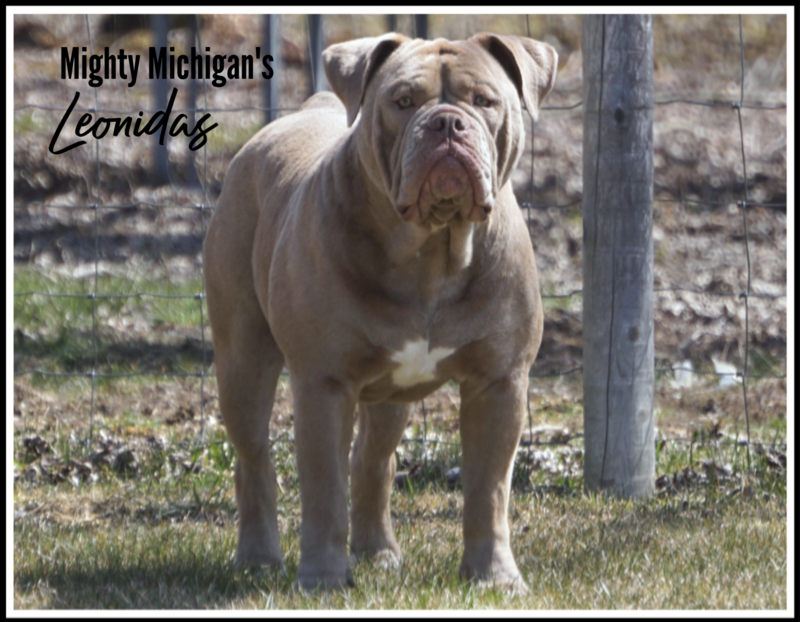 Both parents are structurally sound with phenomenal pedigrees, including our own Sascha, Spartacus (retired), Maddie (retired). Mirage loves to hug and snuggle in tight. She and Diesel are very playful. This is Mirage’s first litter. 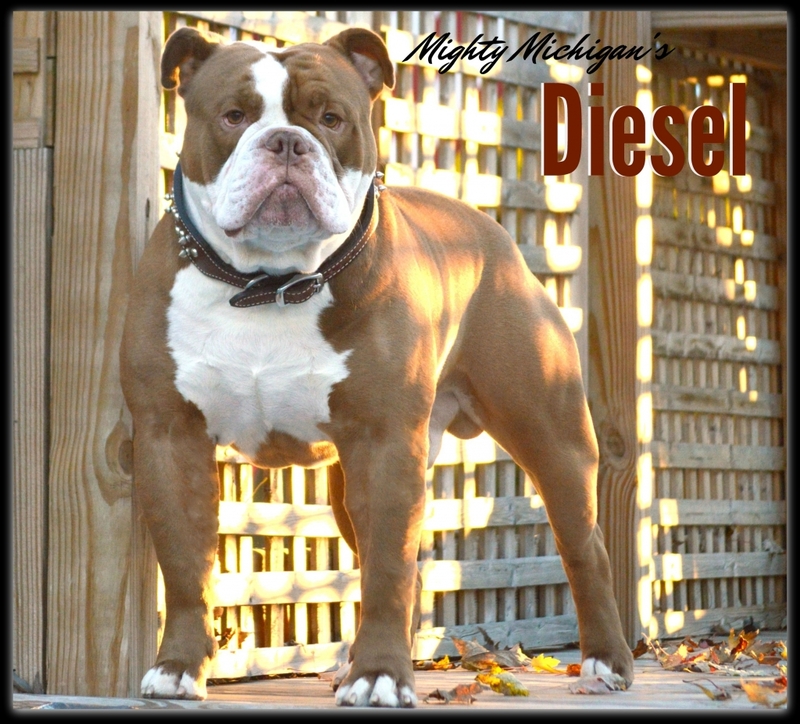 Diesel has already produced some great dogges, including our very own Panda and Miss Bo. We expect these puppies to be very consistent based on their pedigrees. Additionally, they will be thick, as well as, loyal companions with a willingness to please. Pups will be a rainbow: blue/blue tri, chocolate/chocolate tri, and lilac/lilac tri. As a result, we can’t wait to see the outcome!!! 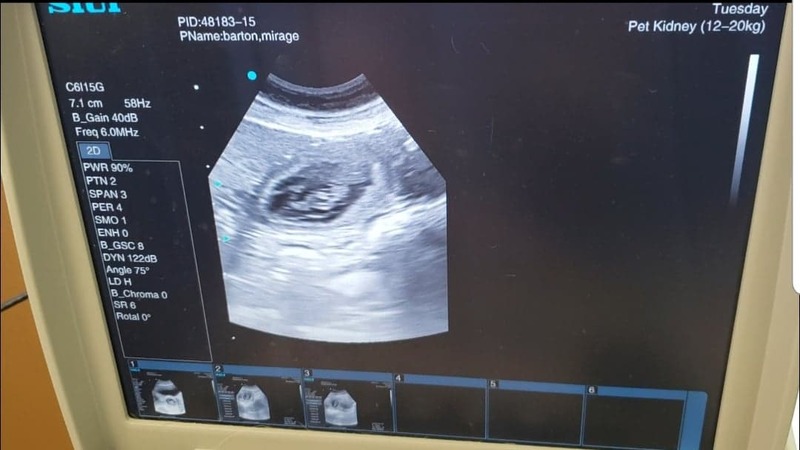 Below is a picture of Mirage’s ultrasound. 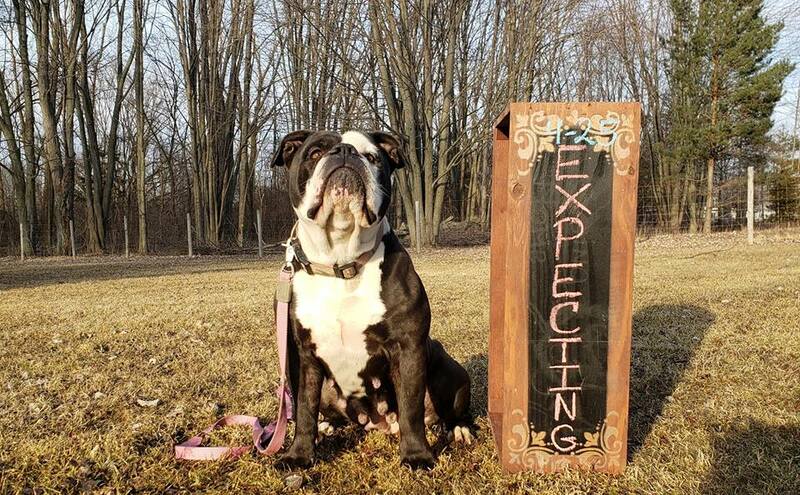 Puppies will arrive early May 2019. Contact us to reserve a puppy!